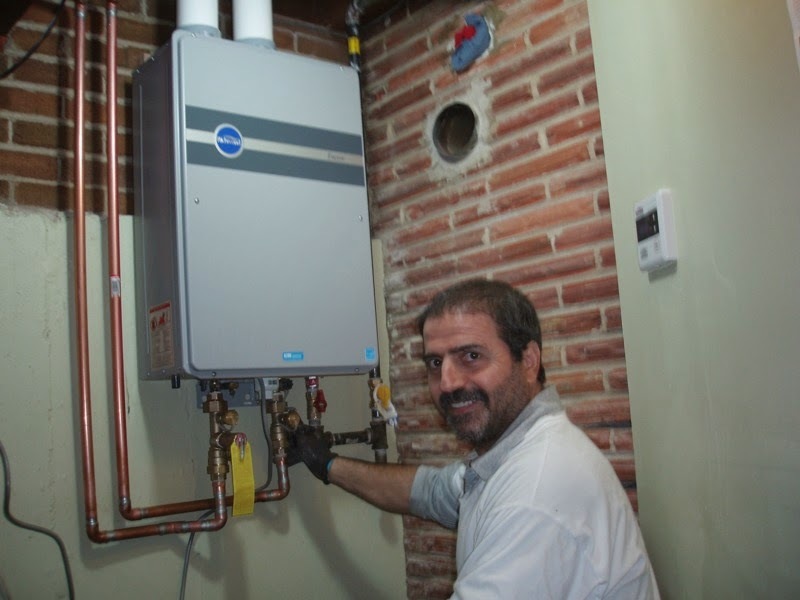 You will thank yourself a million times over for choosing tankless water heating. 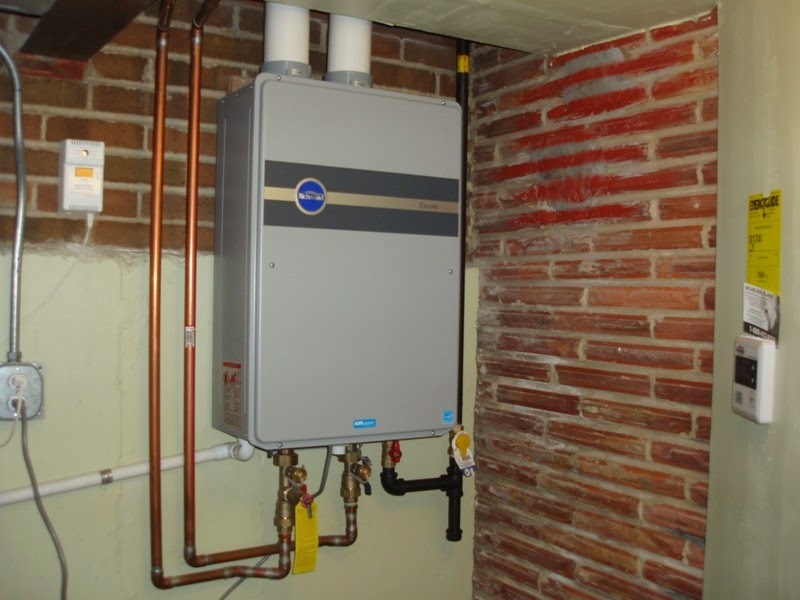 Be aware that there will be a slight delay for the hot water to arrive at your fixtures and that the money saved in standby loss is offset by the higher cost of equipment, gas pipe, flue pipe and materials. 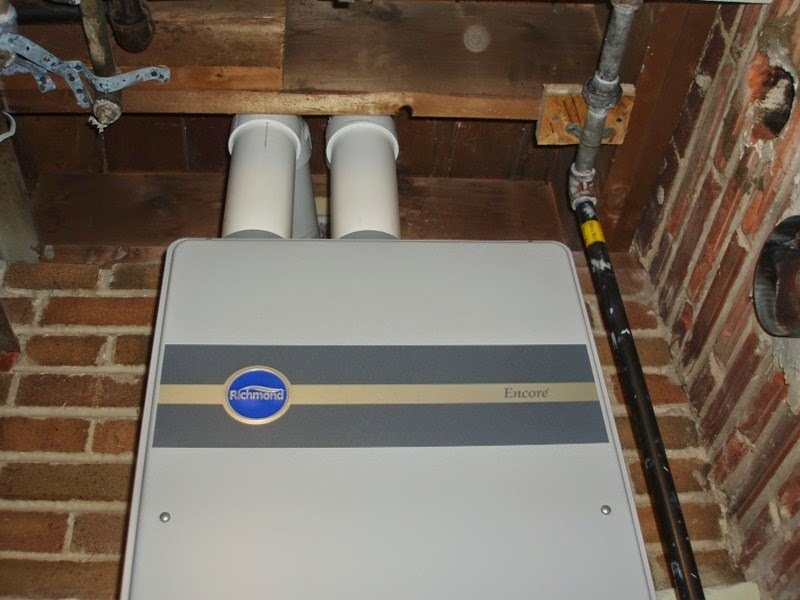 CAUTION: Tankless water heaters generally require larger diameter gas supply lines, higher voltage power supply (if contemplating electric on-demand), dedicated – special stainless steel flue (known as Category II, III or IV) or larger diameter exhaust system. 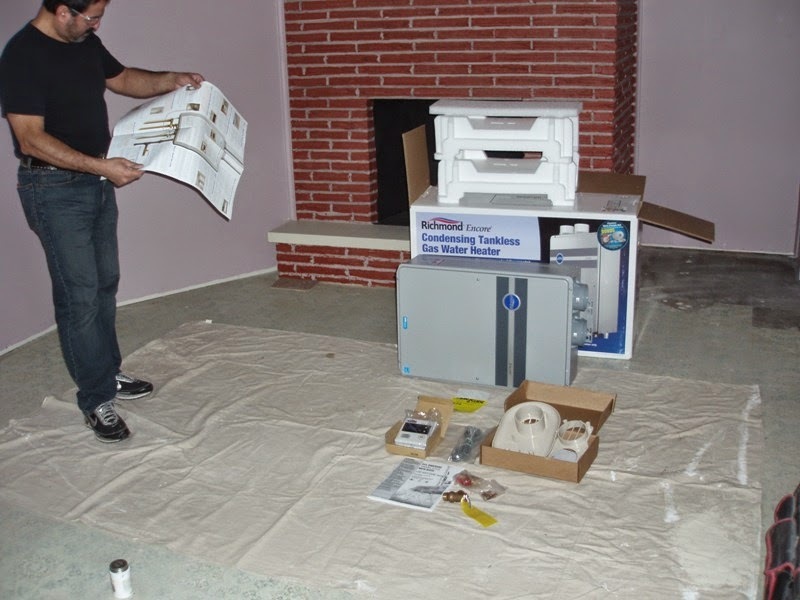 Please take these things into consideration before you decide to DIY. 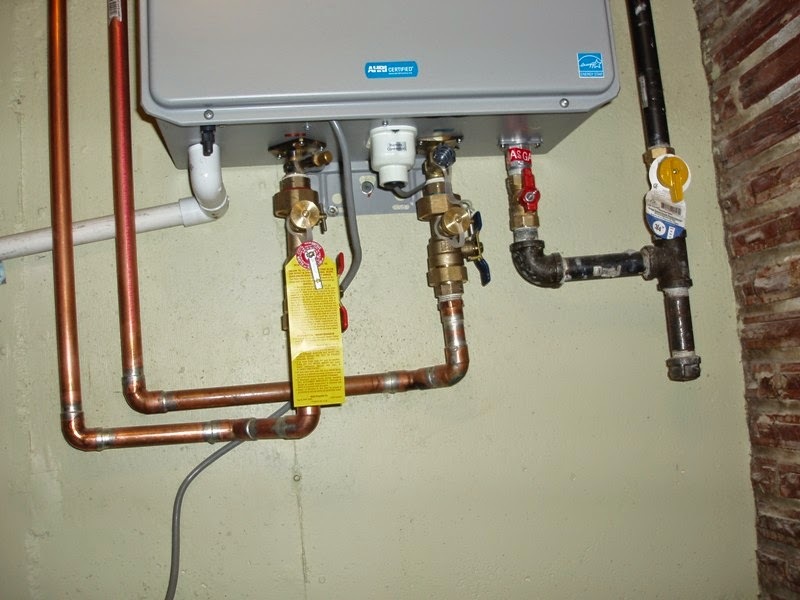 Disconnect heat source from old water heater as follows: for gas, (propane) make sure the supply valve is closed (this is usually determined by the direction of the handle to the valve sitting either in the same direction as the line “open”, opposite the direction of the line “closed”). 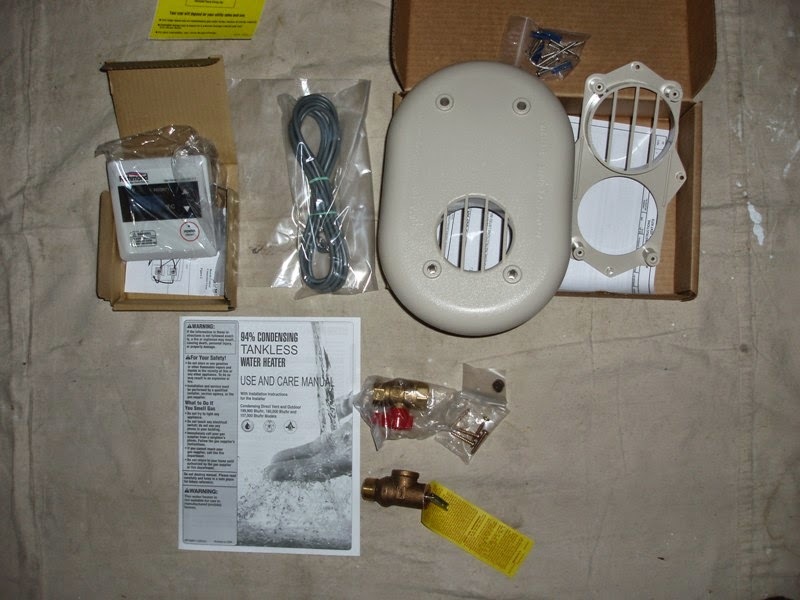 For and electric water heater, simply unplug the appliance from the wall outlet. 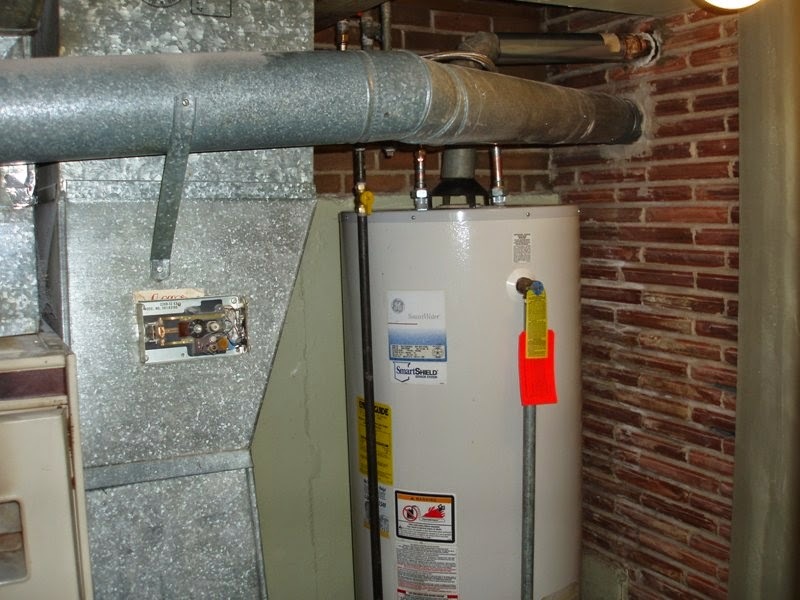 Once you have completely disconnected the old water heater you must remove it from it’s current parking space and make sure to dispose of it according to the laws in the area you live in. 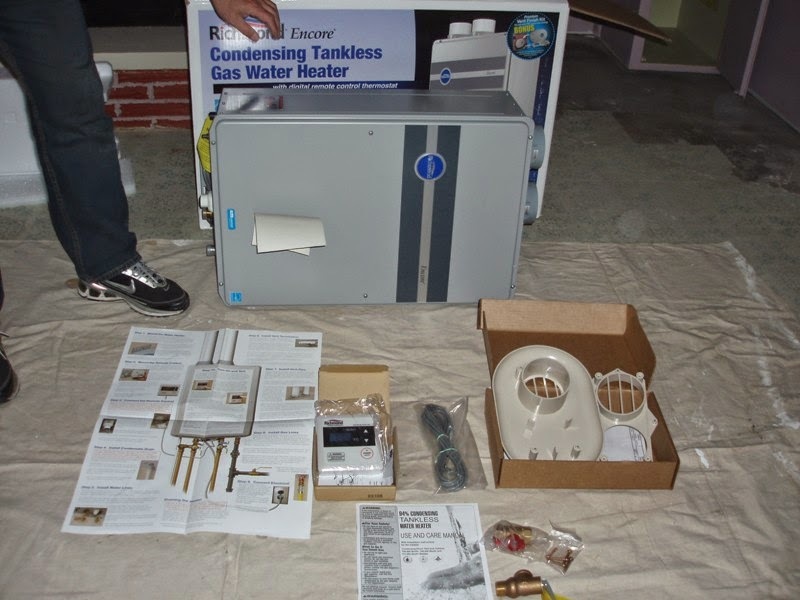 Remove your new tankless water heater from the carton and place all hardware and instructional material close at hand. 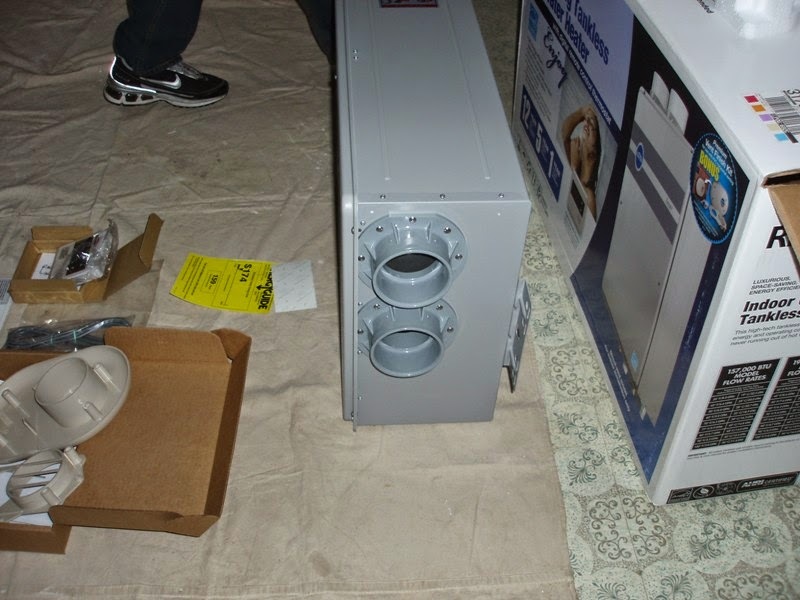 Determine the location best suited for this appliance and make sure you have allowed for the proper clearances around it to comply with all state and local building codes. 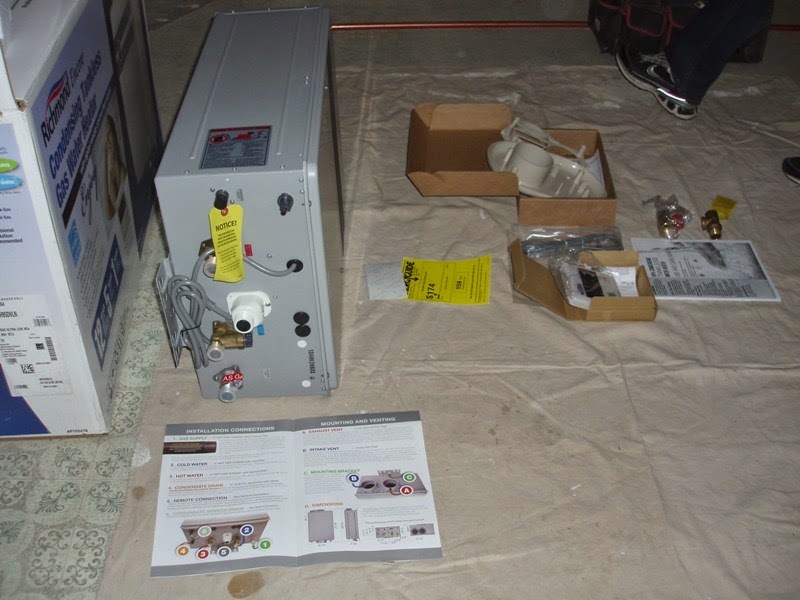 Mount tankless heater on wall according to manufacturers instructions, making sure that you have appropriately supported its weight. 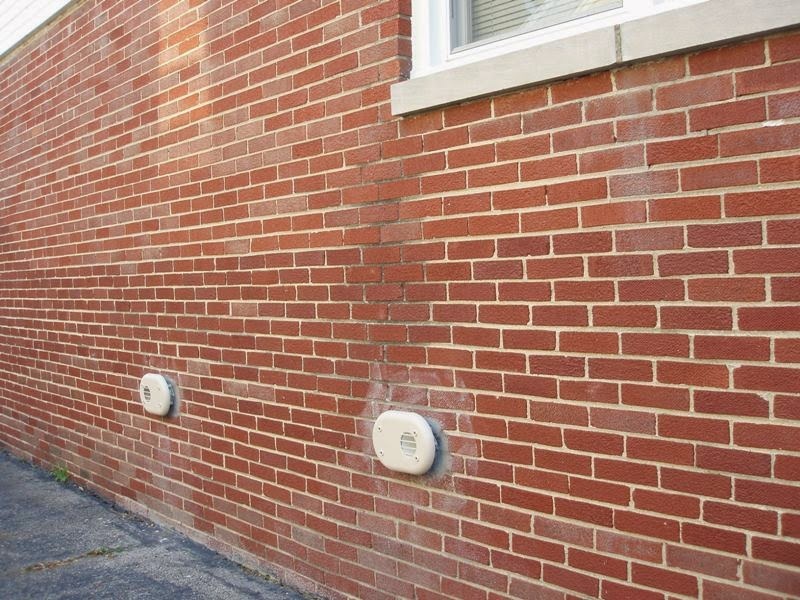 Now you’re ready to hook up all the connections. 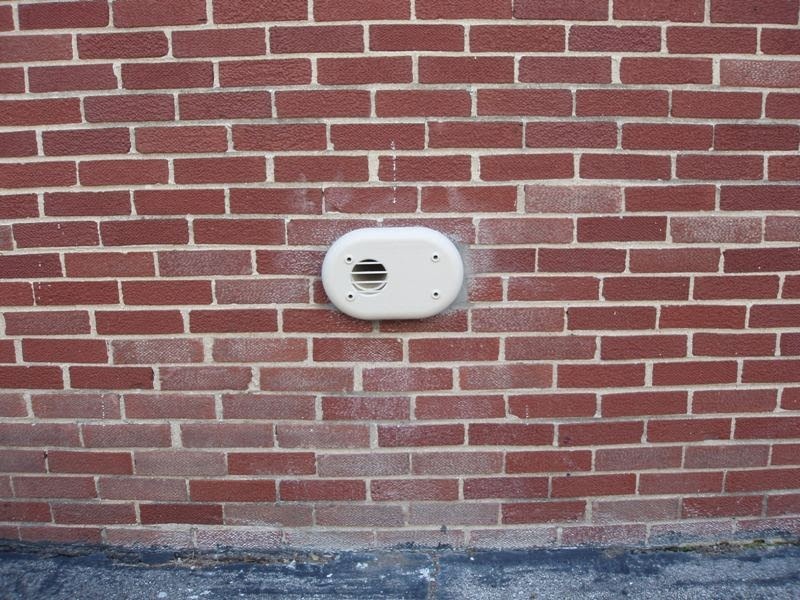 If you have gas, install ventilation ducting. 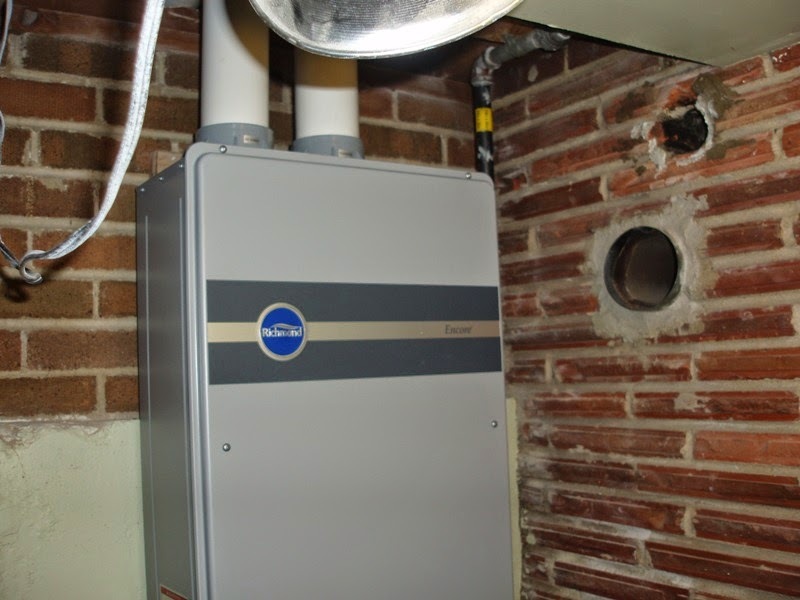 Typically tankless water heaters requires larger flue or special stainless steel flue. 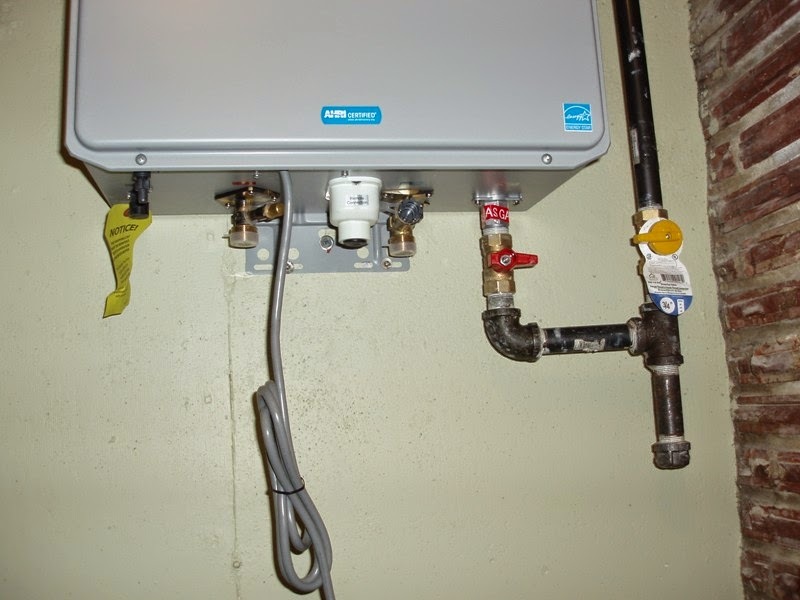 Begin with the supply line (water line). Next should be the heat source. 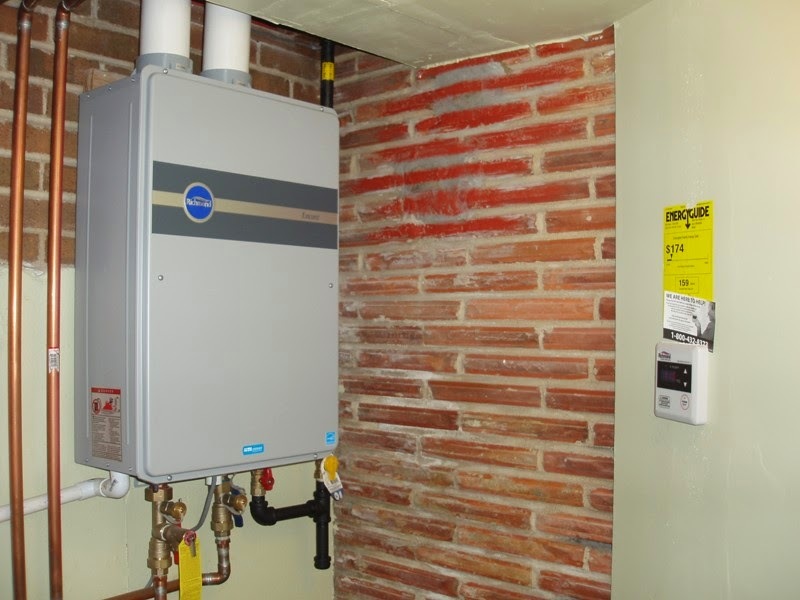 If your water heater uses electricity, plug it in to the wall. 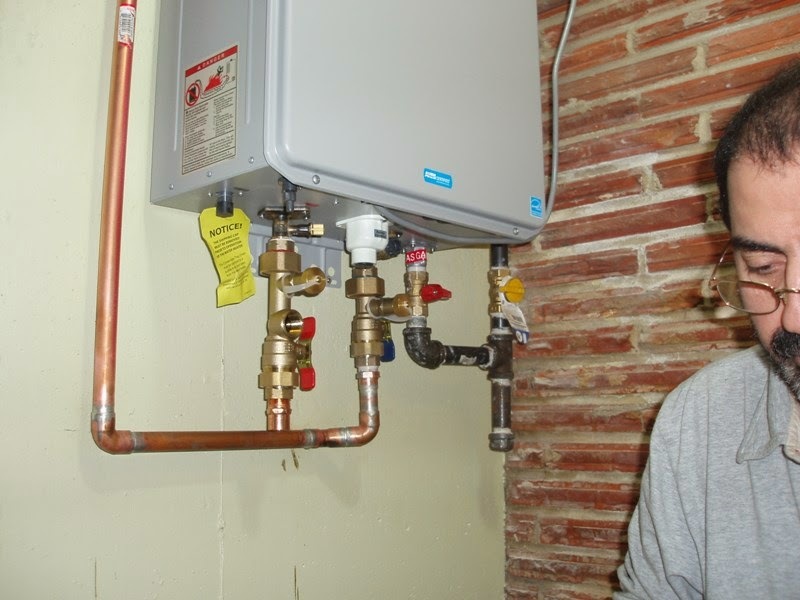 * If your water heater is gas, you will need to hook up a gas supply line from the stub at the wall to the new water heater. Open the valve so that the handle is in the same direction as the line. 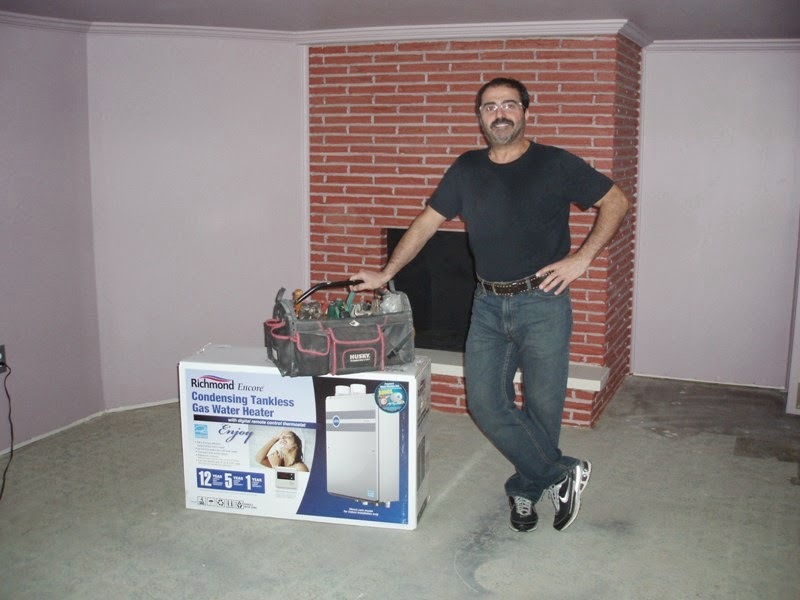 Following manufacturers directions, light the pilot on the gas water heater. 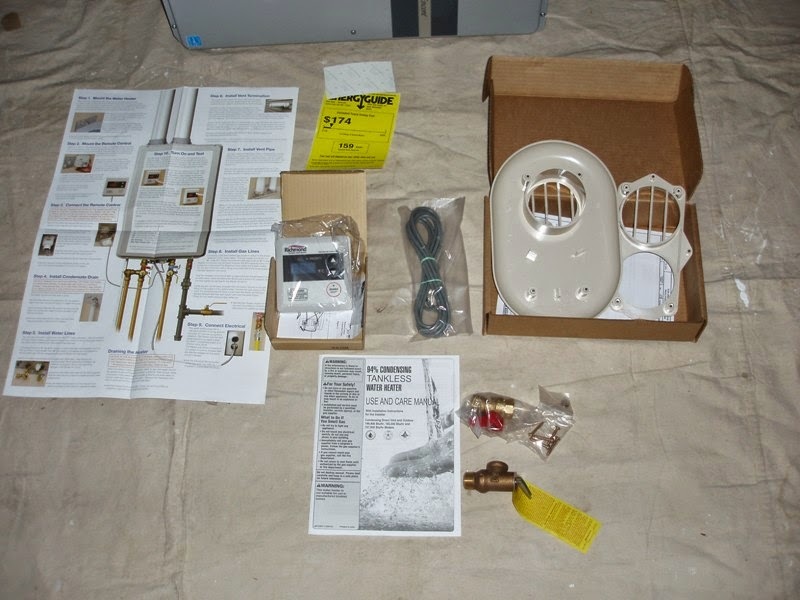 Now go to your favorite shower location and enjoy an endless stream of hot water. All that work was well worth it! 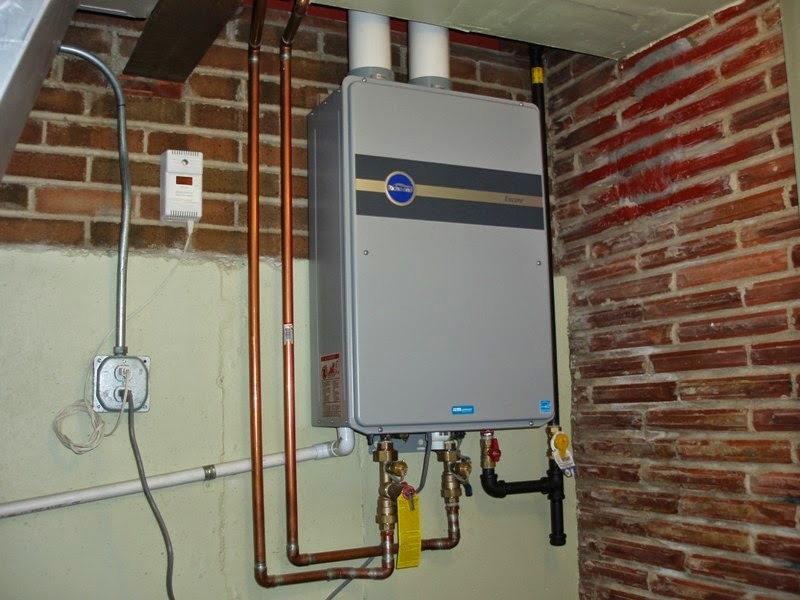 Make sure that you have sufficient amps to operate the tankless hot water heater, additionally, it may require 3 circuits in your circuit box. 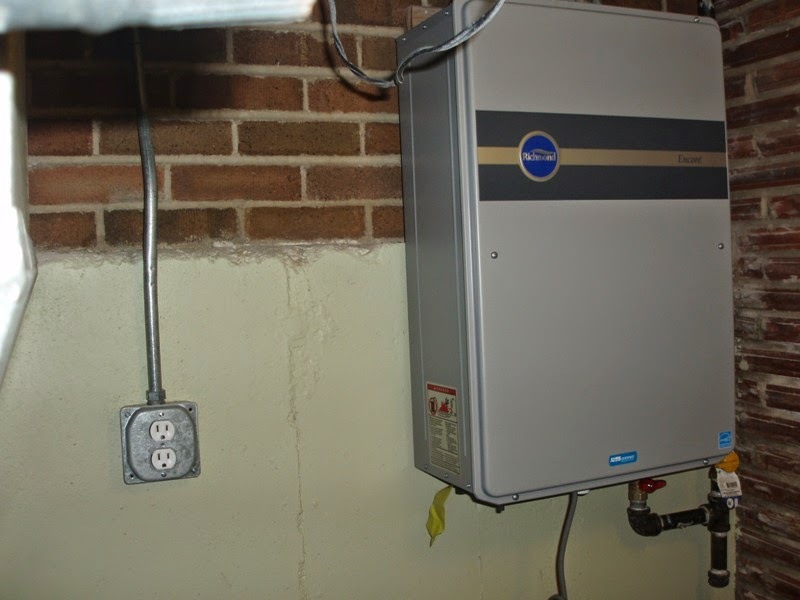 If you purchased an electric hot water heater, make sure it plugs in to a standard outlet power source. If it is only wired for a different voltage than your mains voltage (mains voltage is usually 100 V to 240 V depending on your location) then you must have an electrician wire that outlet for you (unless you are an electrician yourself). Be sure to read the directions carefully. 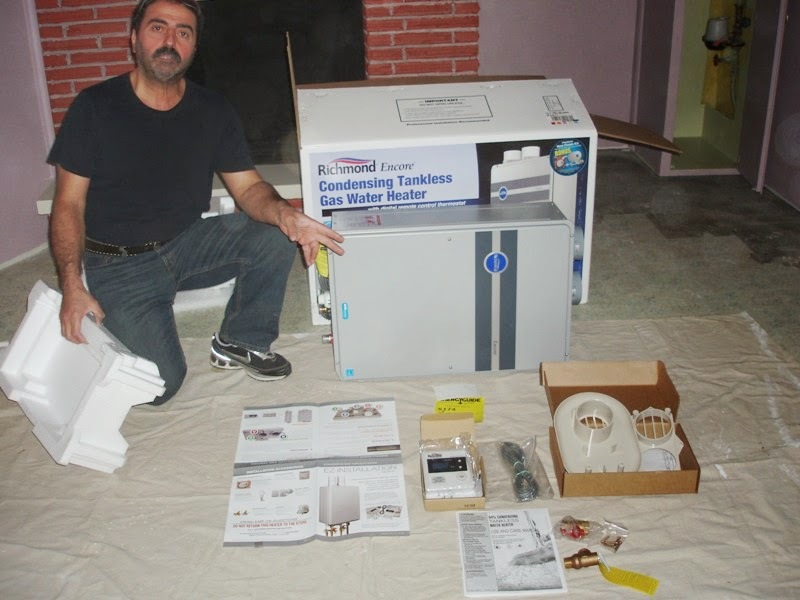 Some units require the installer be certified to install the unit in order for the warranty to be valid. 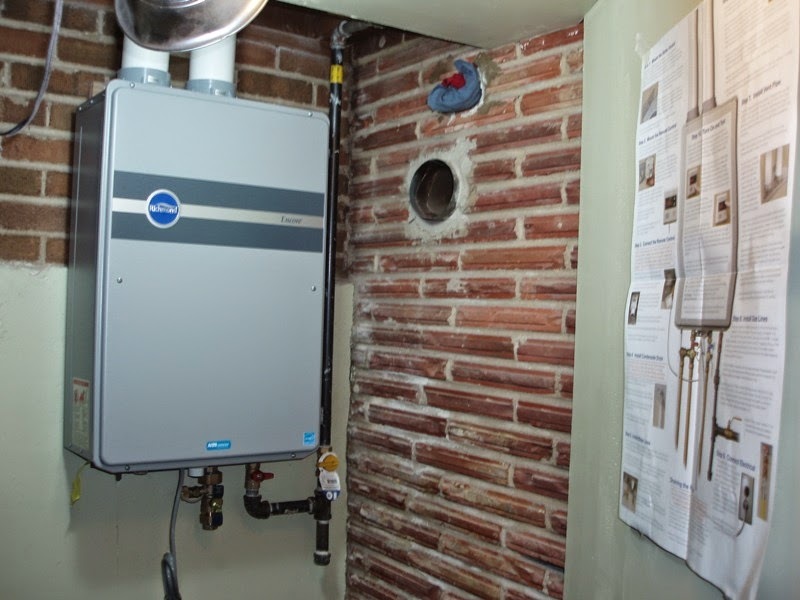 Also, some natural gas units require a larger supply and exhaust (read larger piping or larger electrical circuit) than a regular tank-type water heater, which would require a plumber and/or electrician to install. 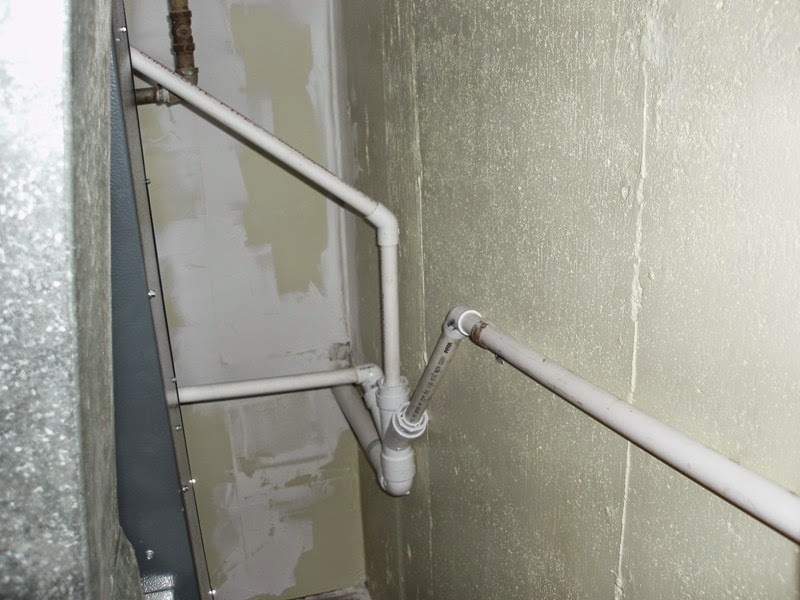 Be sure to check your local plumbing and electrical codes prior to starting. 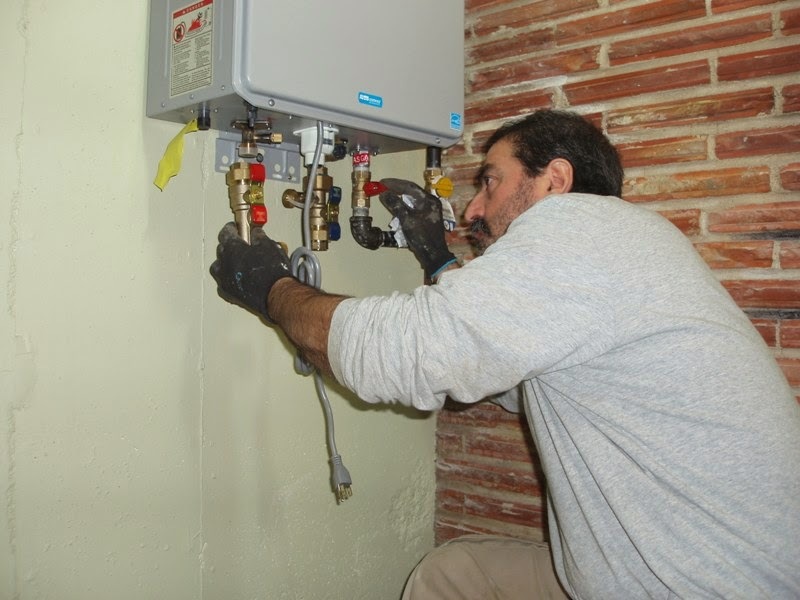 Some areas require a licensed plumber and/or electrician before working on plumbing and electrical systems. 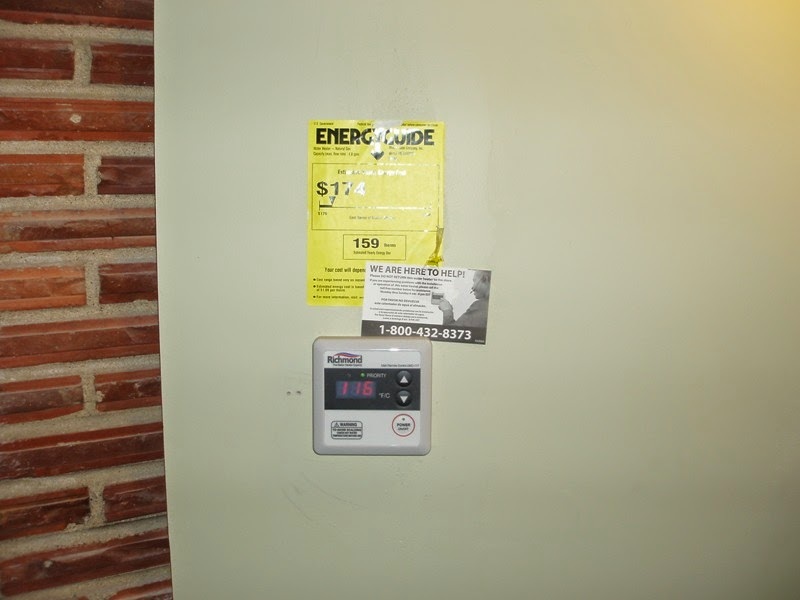 If in doubt, call your local city building code enforcement or utility company.